In countries around the world, Auditory-Verbal Therapy (AVT) is recognized and used as a principle method in which deaf and hard of hearing children learn to effectively communicate through listening and spoken language. Today, a child with a profound hearing loss can learn to listen and speak earlier and better than ever before thanks to advancements in early detection of hearing loss, advanced cochlear implant technology, and family-centered, early intervention. With these technologies and interventions, the degree of a hearing loss no longer determines a child’s spoken language outcome. In the AV method, the ultimate goal is age-appropriate auditory, language, speech, cognition, and communication skills for a child, meaning that he or she will be in a mainstreamed environment (regular classroom) as soon as possible. Just like hearing children, deaf and hard of hearing children develop spoken language skills through listening, and their parents help to highlight the meaningfulness of sounds throughout the day. Visual cues are not used, and one-on-one teaching is critical. Auditory-Verbal Therapy sessions are planned to provide coaching to parents as they interact with their child. The therapist can give feedback and provide strategies to parents as they help their child build language skills and use their cochlear implant. There are currently no certified AV therapists or Listening and Spoken Language Specialists (LSLS) in France. There is, however, no shortage of parents following the method, and looking for guidance. And as an American-certified Speech-Language Pathologist working in France, I’m helping use the foundations of AVT to support families as they help their children reach their full potential as cochlear implant users. 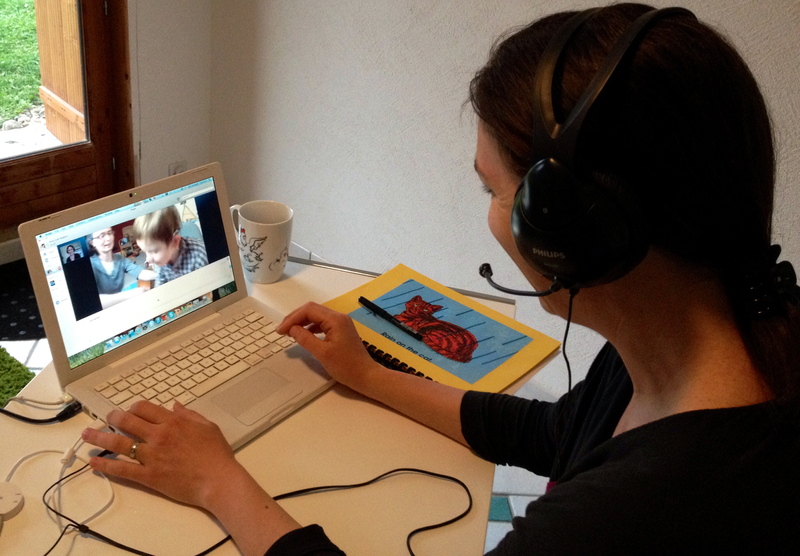 Caroline Pisanne is one of the pioneering mothers who first sought AVT for her son via telepractice, and thanks to her website, more parents in France are becoming aware of AVT. I was first hesitant to start practicing speech therapy in France via telepractice, as presenters at the AG Bell 2012 Convention I attended spoke about their advanced telepractice platforms, and how they kept blogs for each family, had very fast internet connections, and could even send materials and needed technology to families prior to a session. Needless to say, I did not feel ready for this! However, the families that Caroline referred to me were motivated for their children, and did not seem to mind the occasional hiccups setting up the technology. What was important to them was that I could provide professional assistance in a language they understood, and they were open to trying something new. Telepractice was new and exciting for me as well, but the biggest factor was my recent arrival in France. I had no other way to continue the work I love. While nearly all of the telepractice programs I had heard about were set up to help families who were remote, I was drawn to it as I was remote! So, the Skype sessions began, and it took a couple sessions to get the hang of this new way of doing therapy. A month into sessions, we were naturals. A day or two before the session, I provide the families with a lesson plan, including objectives and activities as well as a list of materials that we will be using. In this way, they can prepare and know what to expect. The actual session is similar to a face-to-face session. We let the child play, books are shared to encourage language development and early literacy skills, and songs and rhymes are incorporated. As the parents are physically with their child, they are the teachers, not me. This aspect of telepractice directly incorporates the principle of AVT, that parents are the most important models for learning speech and spoken communication. Throughout the session, I coach the parents and share with them critical strategies to incorporate into their everyday communication. Therapy is always diagnostic in nature, meaning that I continually monitor the child’s progress and modify the activities or goals when needed. Following the session, parents receive a summary with progress notes as well as ideas for how to incorporate these new strategies into their everyday routines. Ideally, these sessions happen weekly. What are the benefits to telepractice? What are the drawbacks to telepractice? Technology issues with the webcam, audio, slow Internet connection, etc. With telepractice, families in France can now have professional guidance in French or English following a method they believe in. There are still no certified LSLS AVTs in France, but step-by-step we are increasing awareness and using the resources we have for families to help their children maximize the use of their cochlear implants. Let’s hope that someday soon a French orthophoniste will pursue LSLS AVT certification! Working toward the earliest possible identification of hearing loss in infants and young children, ideally in the newborn nursery. Conducting an aggressive program of audiologic management. Seeking the best available sources of medical treatment and technological amplification of sound for the child who is deaf or hard of hearing as early as possible. Helping the child understand the meaning of any sounds heard, including spoken language, and teaching the child’s parents how to make sound meaningful to the child all day long. Helping the child learn to respond and to use sound in the same way that children with normal hearing learn. Using the child’s parents as the most important models for learning speech and spoken communication. Working to help children develop an inner auditory system so that they are aware of their own voice and will work to match what he or she says with what they hear others say. Knowing how children with normal hearing develop sound awareness, listening, language, and intellect and using this knowledge to help children with hearing impairments learn new skills. Observing and evaluating the child’s development in all areas. Changing the child’s training program when new needs appear. Helping children who are deaf or hard of hearing participate educationally and socially with children who have normal hearing by supporting them in regular education classes. Hilary Coté Depeyre, M.A. M.S. 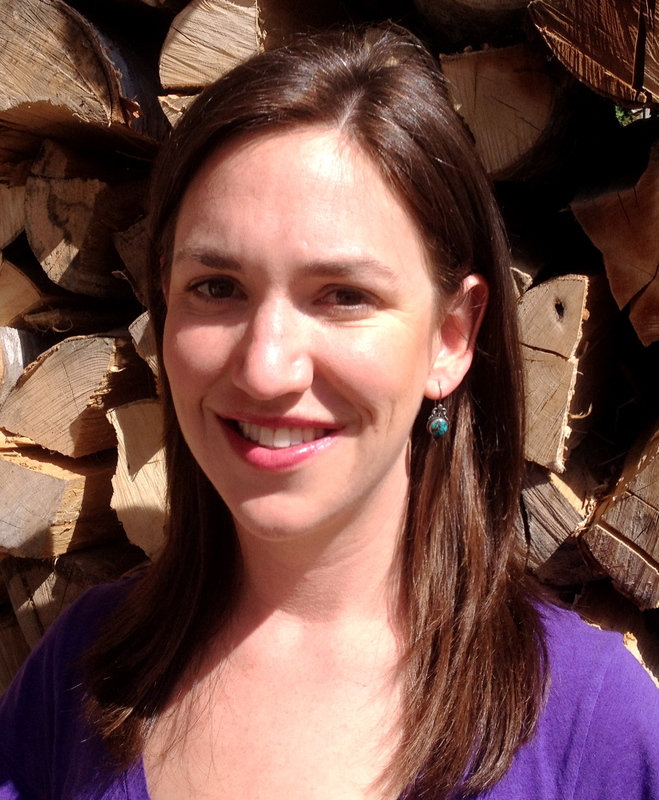 CCC-SLP is an American Speech-Language Pathologist who has settled in France, thanks to her French husband. She spends part of her time working through telepractice with children with cochlear implants in France, and the other part of her time working with her husband on their dairy and ice cream farm in the Alps. She hopes to soon be able to work toward becoming a certified LSLS AVT therapist. This long process, beginning with recognition as an orthophoniste in France, is in the works! If you would like more information, e-mail her at hilary.cote@gmail.com. This entry was posted in Blog, News and tagged auditory-verbal therapy, AVT, cochlear implant, rehabilitation, telepractice by CochlearImplantHELP. Bookmark the permalink.